Robert Keach is the trustee overseeing Montreal, Maine and Atlantic Railway as the company works its way through bankruptcy. PORTLAND, Maine — The winner of Tuesday’s auction for Montreal, Maine and Atlantic Railway’s assets is Fortress Investment Group, according to one source. The auction took place at the Portland office of Robert Keach, MMA’s trustee in the bankruptcy proceedings. The auction lasted 40 minutes and was well attended by representatives of other railroad companies already operating in Maine, according to Chop Hardenbergh, editor of Atlantic Northeast Rails & Ports. The auction was not open to the public or media, but Hardenbergh said he spoke with John Giles, Fortress’ representative at the auction. Giles, a veteran railroad executive, told Hardenbergh that the New York investment firm’s bid was successful. An attempt to confirm the news with a spokesperson for Fortress, a publicly traded investment firm that manages roughly $58 billion in assets, was not immediately successful. MMA filed for Chapter 11 bankruptcy in U.S. Bankruptcy Court in Bangor on Aug. 7, a month after one of its trains rolled driverless down a hill before derailing in the middle of the town of Lac-Megantic, Quebec, and causing an explosion that killed 47 people. Technically, the auction winner is Railroad Acquisition Holdings, a subsidiary of Fortress. Railroad Acquisition Holdings entered the auction as the “stalking horse,” which in a bankruptcy auction is a company that promises to buy the bankrupt company’s assets for a certain price unless a better and higher bid is obtained during the auction process. Railroad Acquisition Holdings’ stalking horse bid was $14.5 million. Canadian press also is reporting that Fortress won the auction. La Presse is reporting that the winning bid was $15.7 million, which suggests bids higher than the original stalking horse bid were submitted. J.D. Irving, which owns Maine Northern Railway and Eastern Maine Railway, partnered with Springfield Terminal Railway Co. to bid on the Maine portions of MMA’s assets, according to a statement from Wayne Power, vice president of J.D. Irving’s transportation and logistics division. It was J.D. Irving that acquired the 233 miles of rail line in northern Maine that MMA wanted to abandon in 2010. Hardenbergh said he also saw a representative of Pan Am Railways at the auction. Fortress has experience operating railroads, Hardenbergh said. In 2007, the investment firm made two acquisitions in the railroad world: RailAmerica and Florida East Coast Railway. Fortress still owns the Florida railroad, but sold RailAmerica for a profit last year, according to Hardenbergh. Giles, who was in Portland on Tuesday morning, was RailAmerica’s CEO. Also in attendance at the auction was Nate Moulton, director of rail programs at the Maine Department of Transportation. Reached by the BDN on Tuesday afternoon, Moulton declined to comment on the auction or its outcome, citing a request made by MMA’s trustee to not speak to the press. The sale will not be final until approved by the bankruptcy court. 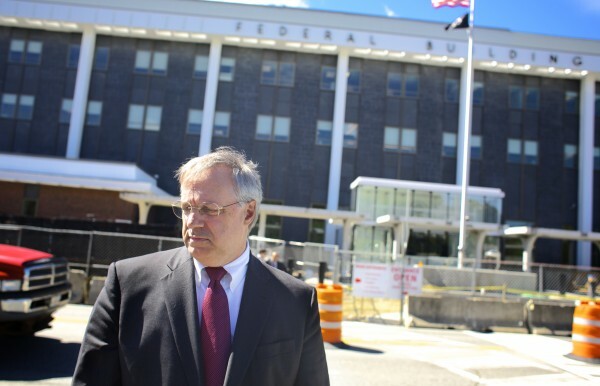 U.S. Bankruptcy Judge Louis Kornreich will consider the sale at a hearing scheduled for Thursday in Bangor. Correction: An earlier version of this story said La Presse is reporting that the winning bid was $15.7 billion. The bid was reported to be $15.7 million.